Dr. Joanna Phillips is a pathologist based in San Francisco, California. She is a board-certified specialist in neuropathology and anatomic pathology. She has been practicing medicine for 15 years. Dr. Phillips graduated from the University of Pennsylvania School of Medicine in 2002. She continued with a residency stage in anatomic and clinical pathology at the University of Washington and a fellowship stage in neuropathology at the University of California, San Francisco. Dr. Joanna Phillips has is a member of several professional organizations such as the American Association for Cancer Research and Glycobiology Research, the American Association of Neuropathologists, the American Society for Investigative Pathology. She published multiple studies and some of the subjects she dealt with are: recurrent glioblastoma, human glioblastoma cells, glioblastoma models, diffuse midline gliomas, Glioma cells with IDH1 mutation modulate metabolic fractional flux, bladder cancer, neural stem cell functions and matrix regulators. 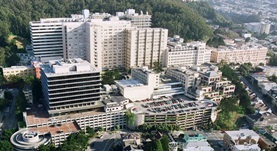 At the moment, Dr. Phillips is affiliated with the UCSF Medical Center. Dr. Joanna Phillips has contributed to 3 publications. Butowski, N.,Colman, H.,De Groot, J. F.,Omuro, A. M.,Nayak, L.,Wen, P. Y.,Cloughesy, T. F.,Marimuthu, A.,Haidar, S.,Perry, A.,Huse, J.,Phillips, J.,West, B. L.,Nolop, ...; Neuro-oncology. 2015 Oct 10. PKM2 uses control of HuR localization to regulate p27 and cell cycle progression in human glioblastoma cells. Mukherjee, J.,Ohba, S.,See, W. L.,Phillips, J. J.,Molinaro, A. M.,Pieper, R. O.; Int. J. Cancer. 2016 Feb 15. MR Studies of Glioblastoma Models Treated with Dual PI3K/mTOR Inhibitor and Temozolomide - Metabolic Changes are Associated with Enhanced Survival. Radoul, M.,Chaumeil, M. M.,Eriksson, P.,Wang, A. S.,Phillips, J. J.,Ronen, S. M.; Mol. Cancer Ther.. 2016 Feb 18.